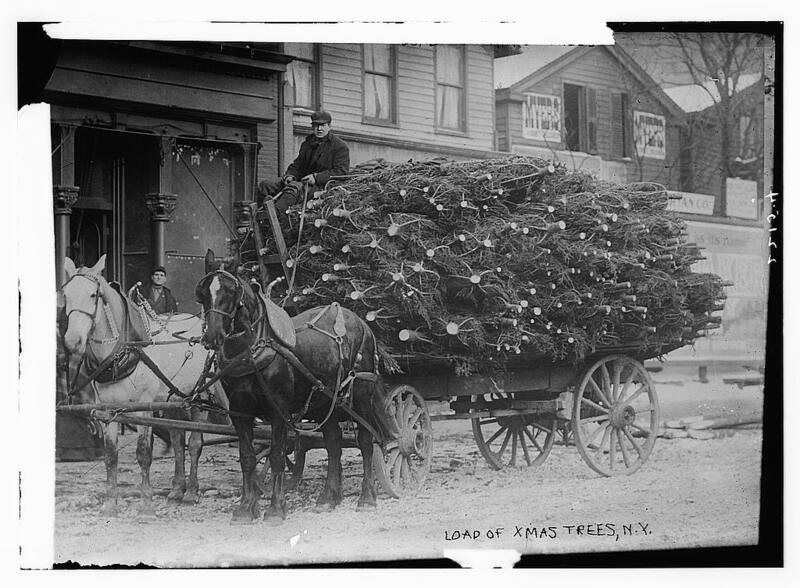 Throwback Thursday " Christmas Tree Delivery"
How neat is this photo? Searching for some cool shots of NY during Christmas, I came across this one. Those poor horses! That is quite a bit of trees they are carrying! What an interesting time it must have been. I have been really getting into that show "Timeless" and the idea of time travel just blows my mind. I would gladly do that if it was available. Hope you are all getting your shopping done for Christmas as it's coming pretty darn quickly!